Taking care of your skin isn’t just a beauty trend — it’s super important for your overall health (wear that SPF, people!) and can do wonders for your overall confidence. But, of course, as with anything that becomes a “trending topic,” there are tons of products advertised to us as “life-changing.” And those ads are especially compelling on Instagram influencers who, let’s face it, typically have the privilege of genetics, really good “work,” filters, or a combination of all three working for them. But when it comes to skincare, there are actually tons of options out there. For most people, you don’t need to spend a fortune getting your skin to a place you’re happy with. 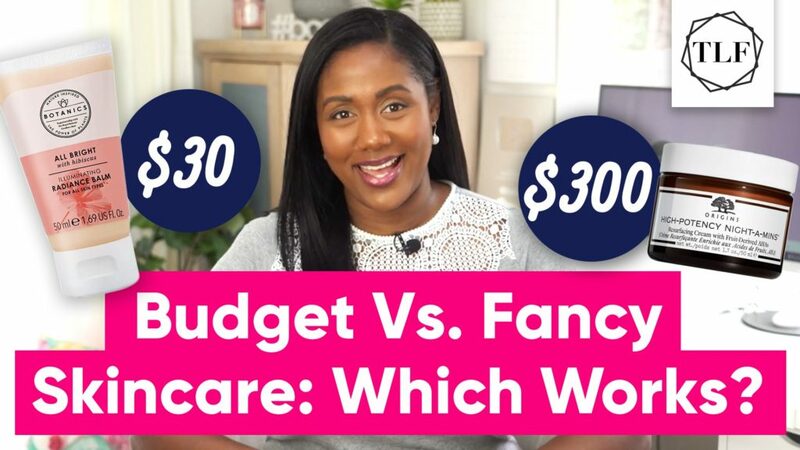 That’s why on the most recent episode of The Lifestyle Fix, Tasha decided to try out a different routine on either side of her face for two weeks — one made up of drugstore products adding up to about $30, and the other of about $300 worth of luxury products. Keep in mind that this was just one experiment on one person, and head over to the TFD YouTube channel to see the outcome!